Matt Talbot Kitchen & Outreach, Lincoln's largest provider of free nutritious meals and homeless prevention services to the working poor and homeless, is hosting its annual holiday Fiesta luncheon on Thursday December 17th from 11:30-1:00 PM. The annual event is a staff favorite with a Feliz Navidad theme, complete with a wonderful Mexican meal donated by locally owned and managed LaPaz Restaurant, decorations and music! Our gift to the working poor and homeless this Christmas is this special meal and celebration! The Matt Talbot board of directors will be serving the lunch meal and all our welcome to attend. 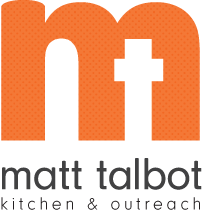 Matt Talbot provides over 100,000 nutritious meals annually to anyone in need. Outreach and Prevention services entail Life Skills Training, Transitional Housing, Case Management, Health Outreach, Nutrition Counseling, Vision Care, and assistance with a wide array of basic and emergency needs. Matt Talbot coordinates one of the largest volunteer efforts in Lincoln with nearly 800 individuals serving each month. Holiday and Year end giving keeps our doors open 365 days of the year and offers hope and empowerment to those in need.